Wandjuk Marika was born on Dhambaliya (Bremer Island), the eldest son of Mawalan Marika. His early life was influenced by the increasing intrusion of balanda (whitefella) influence and activity in Arnhem Land. After the establishment of Yirrkala Mission in 1935, increasing numbers of academics, mining representatives, hunters, fishermen and art enthusiasts visited the region. Marika grew up learning the skills associated with his future responsibilities as a leader of the Rirratjingu clan and Dhuwa moiety. His father taught him to hunt and his ceremonial obligations regarding the two major Dhuwa ancestral song cycles – the Djan'kawu Story and the Wawilak Sisters. Marika was also one of the first students, and later an assistant, at the Yirrkala Mission school. His facility with English enabled him to interpret Yolngu culture for visiting anthropologists and art collectors, including Charles Mountford and Ronald and Catherine Berndt. Marika started painting on bark when he was in his mid-teens, working with his father. The beginning of the Djan'kawu song cycle is characterised by descriptions of constant paddling, the rocking of the canoe in which the Djan'kawu travelled, and numerous marine observations. Approaching Yalangbara, the Djan'kawu feel the warmth of the rising sun upon their backs. This moment is wonderfully captured in Marika's bark painting 'Djan'kawu Story (The sun rising)', 1959, which depicts the dazzling sun as it comes over the horizon. 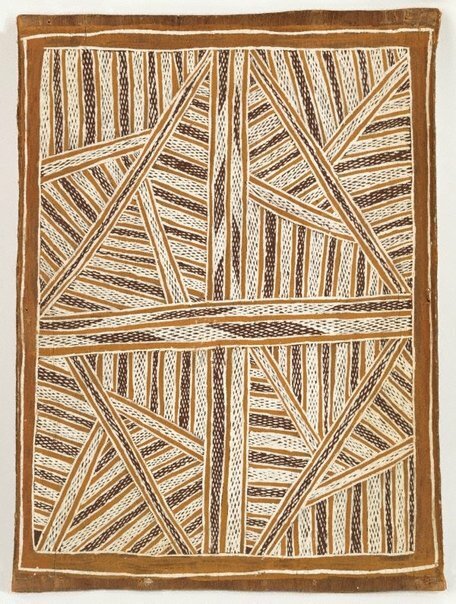 In the painting 'Sea life (Dreaming of the artist's mother)', 1959, Marika demonstrates his association with his mother's Warramirri clan, and depicts a variety of marine species swimming over the field of miny'tji (sacred clan designs) representing the sea. The dots on the tentacles of the Portuguese man-of-war jellyfish represent its poison buds the poison they emit is said to heat the water and calm the sea. Throughout his life, Marika wrote letters on behalf of the eastern Arnhem Land clan leaders, including his father, to the Federal Government, protesting unsuccessfully the mining activities that were threatening Yolngu sovereignty over their lands. He travelled extensively in Australia and overseas as a member, and later chairman, of the (then) Aboriginal Arts Board of the Australia Council (1973-79). The unauthorised reproduction of 'Djan'kawu creation story', 1959, on a tea towel disturbed him to the extent that he stopped painting for a number of years. Marika became a key advocate for the legislative protection of Indigenous intellectual property rights. 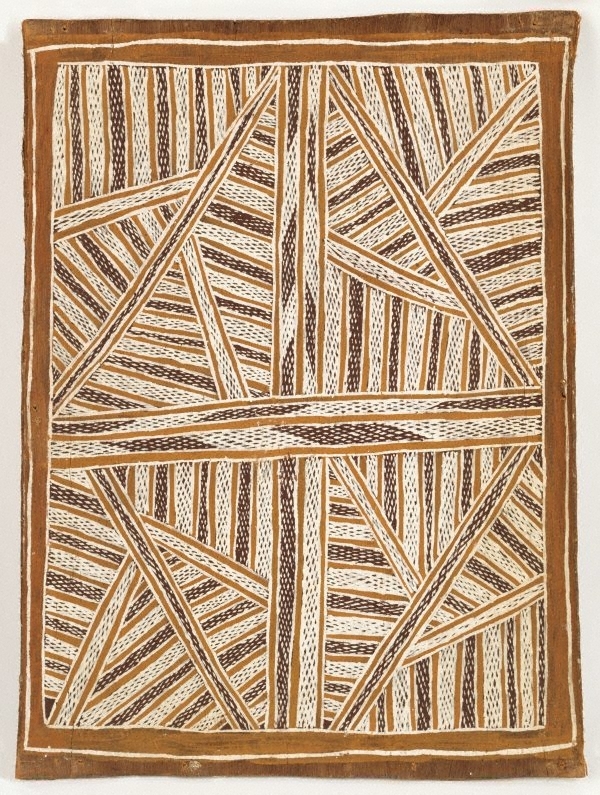 Ken Watson, Tradition today: Indigenous art in Australia , 'Wandjuk Marika', pg. 80, Sydney, 2004, 80 (colour illus. ).